When Üfük Özden, a translator from Istanbul, visited Armenia last year, it was with some trepidation. But when a taxi driver in Yerevan asked him where he was from, he screwed up his courage and acknowledged that he was Turkish. Turkey holds a huge place in the Armenian imagination, mainly as the perpetrator of the 1915 genocide that devastated the Armenian people, and which the Turkish government still refuses to acknowledge. But until recently, Armenians have had very little contact with real Turks, their border closed first by Soviet-NATO rivalry during the Cold War, and then by Turkish support for Azerbaijan in its war with Armenia over the Nagorno-Karabakh territory. 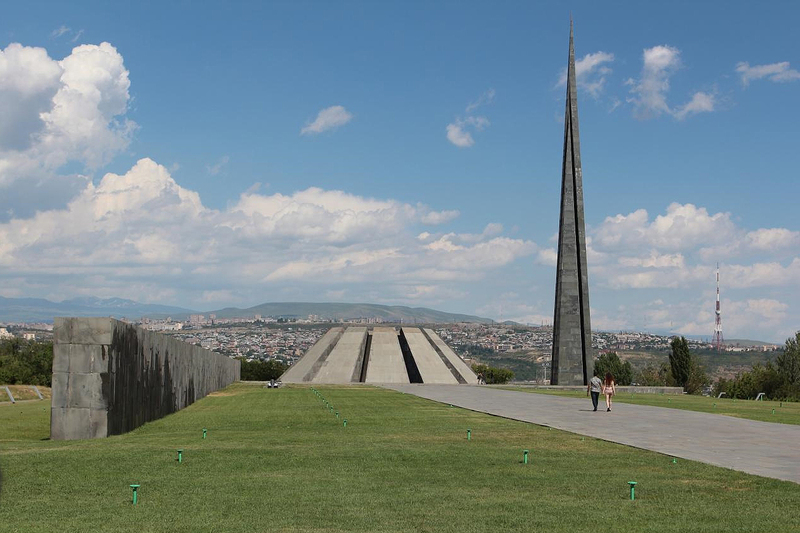 As a result, for generations of Armenians, Turkey has remained largely an abstract enemy. Over the last several years, though, that has started to change. In 2009, the two countries worked out diplomatic protocols aimed at reestablishing relations, and although that effort ultimately collapsed, it nevertheless set the stage for a reassessment of Turks in Armenian eyes. And increasingly, the things Armenians say about Turkey are not all bad. According to polls from the Caucasus Research Resource Center – Armenia, attitudes towards Turks have changed in Armenia. In 2010, 34 percent of Armenians thought that Turks’ attitudes toward them were “absolutely negative.” By 2015, that figure had dropped to 19 percent. The proportion of Armenians who thought Turks’ attitudes were “rather positive” increased from 15 to 29 percent. In addition to the 2009 diplomatic effort, another turning point in Armenians’ perceptions of Turkey was the 2007 murder of Armenian Turkish journalist Hrant Dink. The murder prompted an unprecedented expression of sympathy among Turks for Armenians, which was viewed with interest and surprise in Armenia. The years since then have seen increasing people-to-people contacts between the two sides, including many organized by an Istanbul-based foundation set up in Dink’s name after his death. About 11 thousand Turks visit Armenia every year, of which 7-8 thousand are tourists. A large number are ethnic Armenians, but the majority are ethnic Turks, said Mekhak Apresyan, the first vice president of Armenia’s State Tourism Committee. “This shows a greater interest in discovering Armenia,” he told EurasiaNet.org. Nevertheless, other Turks also report uncomfortable encounters in Armenia. One student from Istanbul, Dilara, visited Yerevan in 2015 with her boyfriend, also Turkish. (She asked that her last name not be used). Their first evening, four police officers came to their Airbnb apartment, apparently to check out a gas leak in the building. On finding out the two were Turks, they called more policemen to the apartment, who ransacked through all their possessions, then took them to a police station in an unmarked car. There, they were interrogated, including on why they were in Armenia rather than Azerbaijan and whether they recognized the genocide. Eventually their Airbnb host arrived at the police station, reproached the police for treating them rudely, and took them back home. The host advised them to avoid speaking Turkish in the street, and acknowledged that the cleaning lady for the apartment had not wanted to meet any Turks and had agreed to do the cleaning only on the condition that she would not run into them. Later the couple was harangued by an Indian student studying in Armenia about Turkey’s autocratic president, Recep Tayyip Erdoğan. “I was ready to deal with the genocide issue, but not Erdoğan,” she said. The last 10 years have seen real changes in Armenians’ attitude toward Turks, but there is a limit, said Gohar Martirosyan, an Armenian journalist who covers Armenia-Turkey relations. “Still, mutual visits are important for communication, and without them it would be impossible to ever resolve our problems,” Martirosyan said.